As the burial site of important Polish figures and the coronation venue for monarchs, St. John’s Archcathedral is a place of much historical significance. Visit this sacred public space and learn about its role in Polish history. Originally constructed in the 14th century, the cathedral was the site of royal coronations and burials for many centuries. During the Warsaw Uprising, the cathedral became a battleground and was blown apart by the Germans. Head to the outer wall facing Kanonia Street to inspect a piece of the tank that was sent inside with explosives to destroy the cathedral. As with many Warsaw landmarks, the cathedral was rebuilt several times throughout its history. After the war, it was reconstructed based on its earlier Gothic incarnation rather the Baroque-style structure that had existed before the war. Despite the damage inflicted on the building during World War II, some valuable cathedral artifacts have survived, including a 16th-century wooden crucifix. Before entering, admire the cathedral's striking brick façade, which reaches way up to the sky, towering over the narrow streets of Old Town. Inside, the interior features dark wood and white plaster. 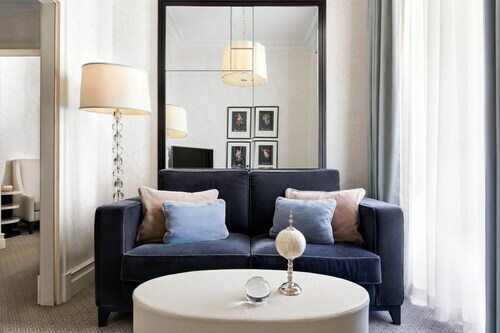 The ordered and austere décor creates an ideal setting for reflection. Check out the stained-glass windows, which represent important points in Polish history, and descend into the underground necropolis to see the tombs of important Polish figures. St. John’s is not only a place of worship for Warsaw Catholics, but has also become an important place for sacred music. Organ recitals are often held here and the church also hosts an annual organ music festival every summer. Find out if any concerts are taking place during your visit. St. John’s Archcathedral is located in the Old Town next to the Jesuit Church. The cathedral is open daily and entrance is free. This is an active place of worship, so remember to be respectful. Visitors are asked not to enter while mass is taking place. 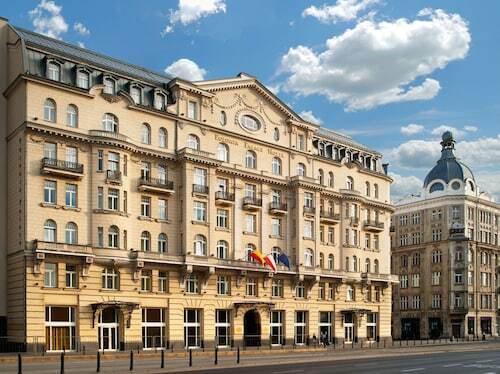 Located a block from Piłsudski Square, Warsaw's largest, Hotel Bristol, A Luxury Collection Hotel has been welcoming guests for over 100 years. A great base for exploring the city's historical areas, the hotel is only 10 minutes on foot from the Old Town, and 2 minutes from the Presidential Palace. Located in Old Town, this apartment building is steps from St. John's Cathedral, Royal Castle, and Old Town Market Place. 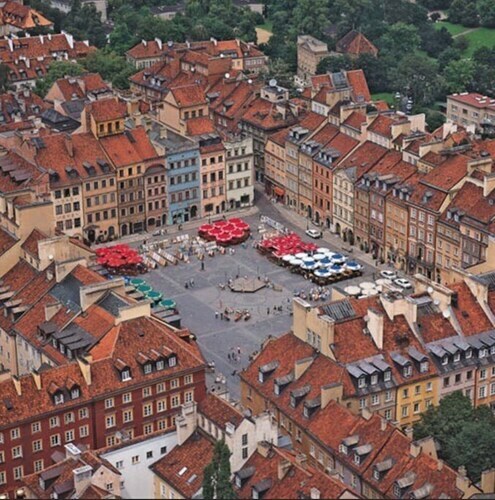 Old Town Square and University of Warsaw are also within 15 minutes. Warsaw Gdanska Station is 23 minutes by foot. 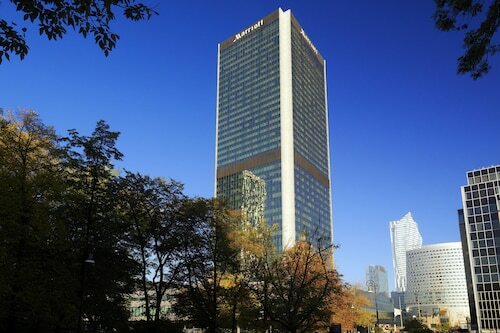 This family-friendly Warsaw hotel is located in the historical district, within a 10-minute walk of Zacheta and University of Warsaw. 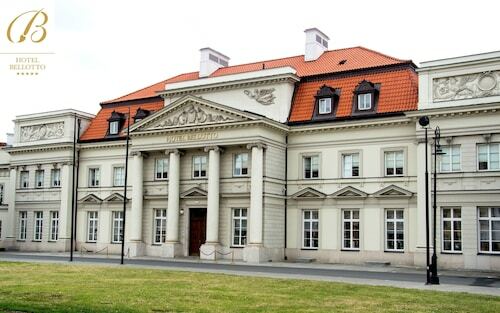 Royal Castle and Copernicus Science Centre are also within 15 minutes. 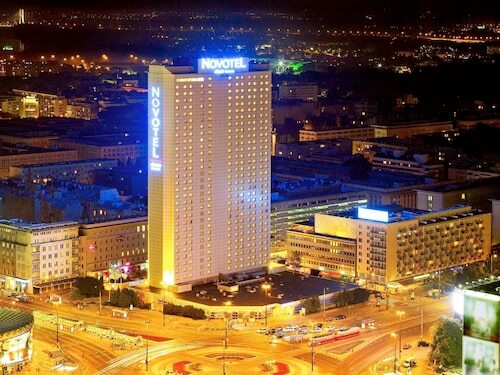 Centrum is 18 minutes by foot and Warsaw Central Station is 23 minutes.